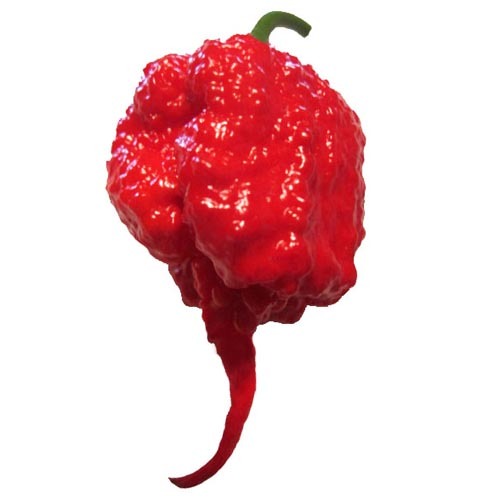 Here’s the back story: Ever since the ‘Bhut Jolokia’ first caused a media-induced ruckus because Indian plant scientists were claiming the title of the “World’s Hottest Pepper,” we’ve been tracking developments on the SuperSite (see a list of related articles at the bottom). The question immediately arose: where did this pepper originate? It was pretty clear to me: Trinidad, and I made my point in the blog post here. My theory of plant transfer held that Indian immigrants to Trinidad, indentured servants replacing freed slaves in the sugar cane plantations, eventually were freed themselves and some became farmers. And some went back home to India carrying the ‘Bhut’ seeds. But, alas, all of this speculation was dead wrong. I’m working on a major project to collect as many 18th and 19th century chile pepper descriptions as I can find to add to the ever-growing archive of chile pepper material posted on the SuperSite. 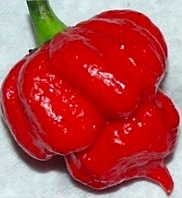 During a search for Caribbean Capsicums between 1700 and 1910, this quote popped up: “One species called ‘devil’s pepper,’ introduced by Lord Harris, from Trinidad, is so intensely hot that the natives can hardly manage to use it.” It was from the Cyclopædia of India and of Eastern and Southern Asia, edited by Edward Balfour and published in Madras, India in 1871. My first thought: who the hell was Lord Harris? It took me only a minute to discover that he was George Francis Robert Harris, Third Baron Harris, later Third Lord Harris, born in 1810. He was among the highest elite in England, but he still had a career. First, as governor of Trinidad, and second, as governor of Madras. The pieces were starting to fit together. Lord Harris was the most progressive and effective Trinidadian governor during the early days of British rule of the island. His accomplishments in his island paradise service to the crown (1846-54) range from establishing the postal system, creating the first library and public education system on the island, to having piped water delivered to Port of Spain, the capital. He also coined the phrase “pearl of the Antilles” to describe Trinidad. But for our investigation, it is significant that he became the primary supporter of the Royal Botanic Gardens near the Queen’s Park Savannah in Port of Spain. I toured those 62-acre gardens in 1992 but then I had no knowledge of Lord Harris’s involvement in it. But I did notice that the garden was growing a number of chile peppers, including the Congo pepper, that has some of the largest pods of any of the varieties in the chinense here. The gardens were in terrible shape in 1846 when Lord Harris became governor. 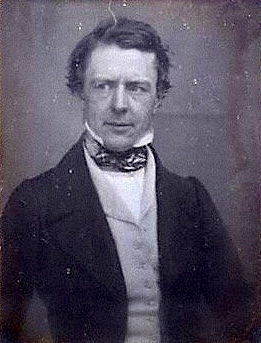 But with his typical zeal and enthusiasm, Lord Harris “adopted” the gardens, finding a new director, William Purdie, and giving the garden many cash donations and other gifts like a Wardian Case (a portable miniature greenhouse) in 1854 and at one time a gift of “£200 sterling, to be appropriated in prizes for the best specimens of native farming and garden produce brought forward at a public competition.” That large sum of money illustrates Lord Harris’ devotion to the gardens and reveals his British devotion to plant collecting and study. He lived in a era much influenced by the “Golden Age of Botany,” the eighteenth century, which had alerted every intelligent Englishman to be on the lookout for unusual plants and to collect and preserve them. species. I related the Congo pepper story in my article on Trinidad and Tobago, here. I tried to discover what Capsicums the gardens were growing while Lord Harris was governor, but the only documentation I could find was a catalog from 1865 to 1870, more than a decade after he left. That showed the gardens were growing Capsicum annuum L., the most common species of all, plus two other spices, the mysterious “Capsicum frutescens, L. India, Tropical America” and “C. arboreum, India.” The location name “India” reveals a common mistake of the era—attribution of an Old World origin for some chile peppers. It is ironic to note that the garden undoubtedly provided the “Devil’s pepper” seeds that Lord Harris carried to India the year he left Port of Spain for Madras, 1854. Was the origin of the name Trinidadian or Indian? We probably will never know, but somehow the English name “devil” was translated into various Indian languages like Hindi and Assamese and became “ghost,” or bhut. This is closely connected to Indian mythology and funeral practices, which hold that when a person dies, he or she leaves behind a ghost—the very rough equivalent to a Christian soul—and that ghost parallels the personality and manner of death of the deceased person. A cheerful, productive person will produce a mischievous ghost, while an evil person, or one killed violently by a tiger, will produce a ghost that turns into a demon, or devil. One source reported “Amongst the evil genii of all India, is a being called Rakshasa, of giant bulk, terrible teeth, who feasts on dead bodies. The bhoot, acknowledged all over India, more resembles the ghost of Europe. The Rev. Dr. Caldwell in his work on the Devil-worship of the Shanar, has shown how continuously the people of India are making new deities or demons.” Another source observes, “There it is a fixed article of belief that when a man notorious for any particular vices dies, the man himself may become extinct, but his evil nature never dies, for every one of his vices then assumes personality and lives after him as a demon.” In this sense, since ghosts can become devils, the words are roughly synonymous. To prevent these ghosts from becoming demons and terrorizing the people, they take preventative action using hot peppers: “Villagers may put the peppers, incense, and other substances in a fire. The victim breathes the fumes whose effect is to smoke out the ghost.” The famous mythologist Sir James George Frazier reported in his book Psyche’s Task (1913) that “In Punjab, some people put pepper in the eyes of the corpse to prevent the ghost from seeing her way back to the house.” I think the practice began with black pepper but the Indians switched to superhot chile peppers because their superior heat, or power. And gradually, the superhot ‘Bhut Jolokia’ became ingrained into the culture, especially in Assam, and were used—carefully—in curries and other hot Indian foods. 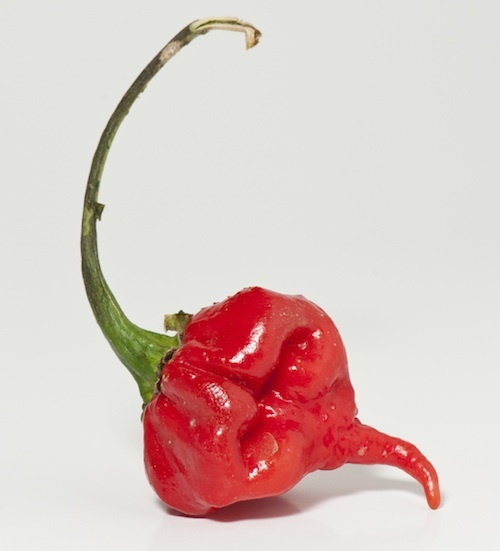 Today, researchers in Trinidad and the U.S. are discovering that the home of the devil’s pepper is also the breeding ground for several other superhot chiles that equal the ‘Bhut Jolokia’s’ heat level, particularly the ‘Trinidad Scorpion’, with its dramatic “tail” that resembles a scorpion’s stinger. I feel certain that the origin and transfer question of the ‘Bhut Jolokia’ has now been answered, but solving one horticultural history mystery results in another: why did all of the hottest chile peppers in the world migrate to Trinidad? To be continued…. “Saga Jolokia,” by Harald Zoschke tracks the announcement of ‘Bhut Jolokia’ and world reaction to it,” here. “Bhut/Bih/Morich: The Jolokia Comparison,” by Harald Zoschke examines pod variants related to ‘Bhut Jolokia,” here. “Chile Pepper Institute Now a Tourist Destination,” because of holding the Guinness World Record for Hottest Chile, here.